I’d first spotted Verana on a wedding blog months earlier as a recommended honeymoon destination, and I filed it away as a spot I’d like to visit one day. I recently celebrated my 30th birthday, and to usher in this new decade of my life Malarie and I decided a little trip was in order, so it was a good of chance as any to schedule a visit. I’m so glad we did! It was a really amazing trip! 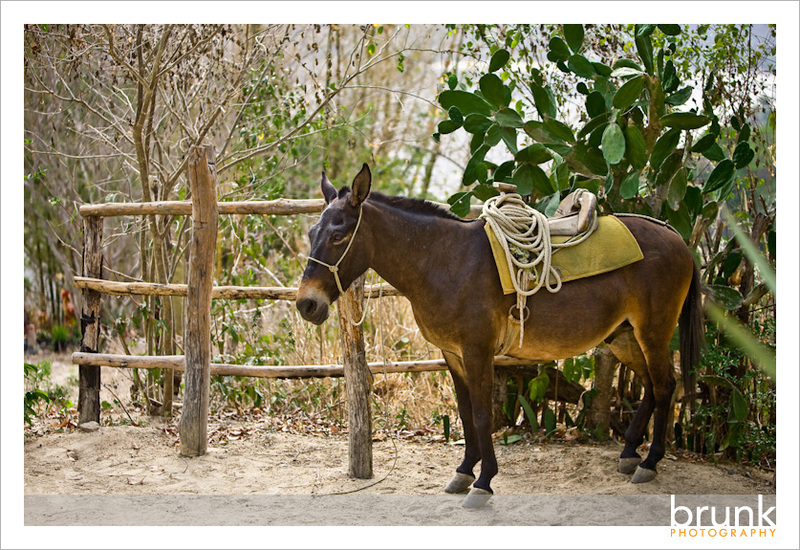 Verana is located a 40 minute taxi ride and a 30 minute boat ride away from Puerto Vallarta, just outside the small fishing village of Yelapa. There are no roads through the jungle that lead there so boat is the only way to go. Getting there was an adventure in and of itself, between the slew of people pushing sketchy taxi “deals” at the airport, the Big Gulp size margarita we had while waiting for the boat to arrive, and the wild dog fight that broke out underneath our table spilling said Big Gulp margarita all over the place. Once on the Verana boat it was smooth sailing all the the way so to speak. When you arrive there’s a rather challenging hill to walk up to get to the bungalows, but as SF’ers we took it in stride. 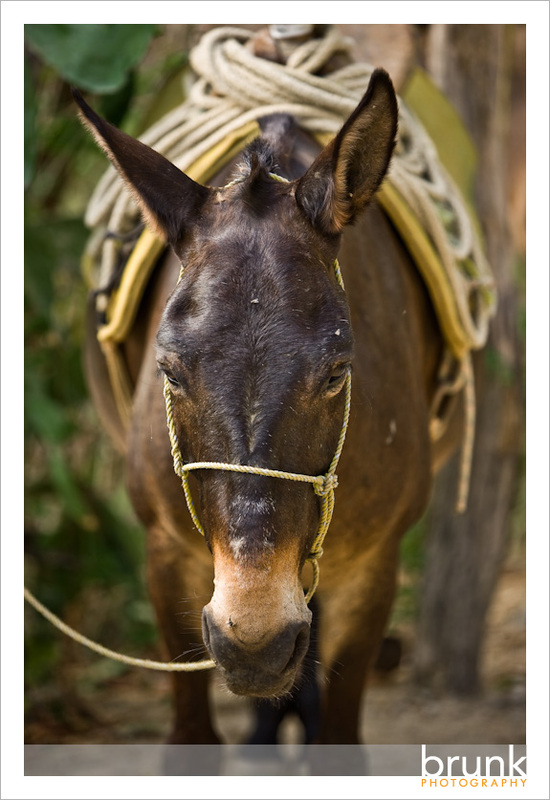 The mule that carries your luggage up was a big help too. A nice touch was Paula waiting with a cool towel and a big glass of fresh lemonade at the top of the hill. Verana itself is a truly idyllic place. There are only about 8 small bungalows around the property, each designed with it’s own distinct look and feel. Most of them are very open with you sleeping just a mosquito net (I was surprised to not see a single mosquito during our time there) away from the jungle and sea views, with no windows or doors to speak of. The outdoor showers were pretty fun too! We did run into some interesting wildlife in our room which is to be expected, including a few scorpions and even a crab at one point (I got a picture of him you’ll see later)! Other than being careful of where you put your feet they didn’t distract much from the amazingly relaxing atmosphere that is Verana. In fact, it made for fun storytelling time at dinner with the other guests, comparing what we’d found. I think Hardy won with his story of the Coatamundi “Avacado” that they found eating a banana that they left out at the foot of their bed in the middle of the night. We actually counted 8 of them playing in the trees next to our room during the day, along with all the awesome tropical birds. The Chachalaka was a crazy bird we saw (but mostly heard, it sounds like a turkey) while we were there, but I didn’t catch the name of the rest. I did bring along my camera, although I did travel light (relatively), and made sure I spent plenty of time not in “photographer mode”. I do of course still have a bunch of images to share! I’ll be doing a series of posts over the next few days, and then that will be all for the personal images for a awhile I have a feeling, as I’ll be knee deep in wedding images for some time to come! OK, so on to the pics! Seriously this looks like a fake background, but I promise it’s real. The food there was awesome. This picture was from “Taco Tuesday” where they made probably 15 different salsas fresh that day. Fabien, the chef was amazing, even making some delicious vegan options for Malarie. We also had a lot of fun hanging out at the bar and restaurant with our fellow guests (we were the only people not on honeymoon btw), and with Manny our talented and comical bartender. Cool property huh? If any of my readers are looking for a spot for a small destination wedding, I know a great photographer who knows the place well! 🙂 It’s also an ideal spot for a honeymoon. If you go, tell them I sent you! That’s it for today! Stay tuned for some more updates! Lan - My sister and I love your blog, Cliff! These are beautiful pictures and Verana is on my list now! Cliff - Thanks for the comment Lan! Hope you and Kiyomi are well! Next time you’re both planning on being in the city drop us a line and we’ll do a drink! manus - Great pics Cliff. That place looks awesome.. a good getaway from the city. Mila - Beautiful photos and an amazing property! Currently planning our 2012 wedding there. 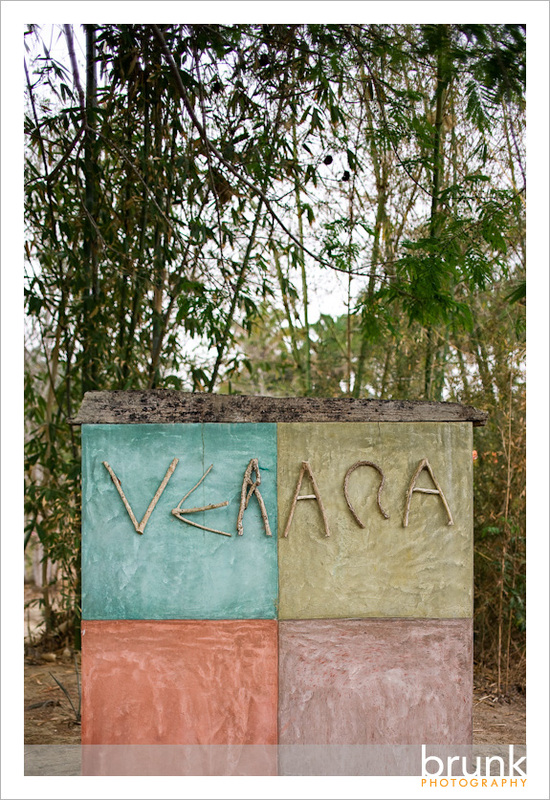 What month did you visit Verana?